Threats | California Trout, Inc. 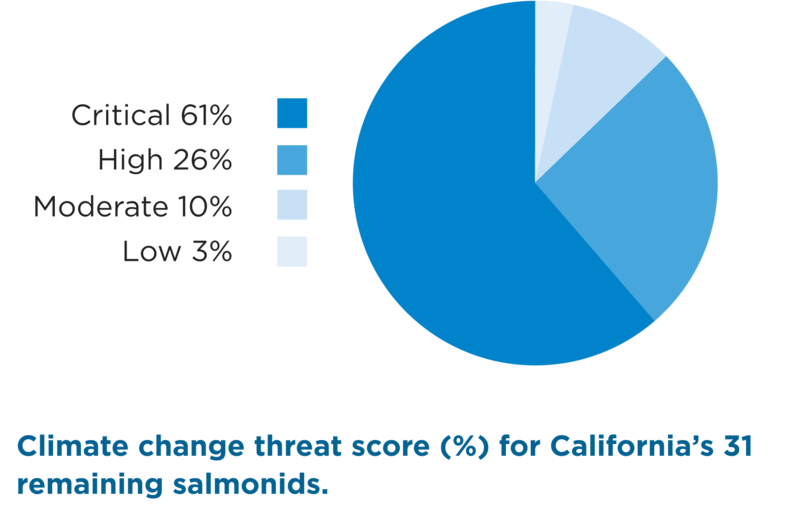 Climate change is the major, overarching threat affecting salmonids in California. 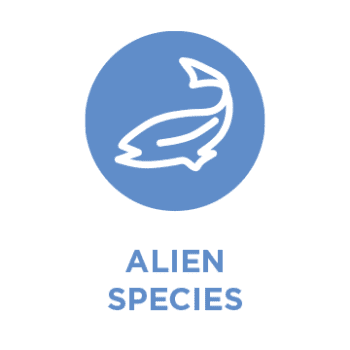 It is considered a critical or high threat for 27 of 31 species (87%). It is considered a low threat to only one species, the Coastal Rainbow trout. Salmon, steelhead, and trout in California rely on cold, clean water to survive. Climate change is likely to reduce availability and access to cold water for salmonids in California through increasing average air temperatures and decreasing precipitation. In general, dry areas are likely to become drier, while wet areas are likely to get wetter. Particularly at higher elevations in California, precipitation is likely to fall as rain rather than snow, reducing overall snowpack and the critical snowmelt that provides cold water year-round to California’s salmonid species. Earlier runoff during the spring is anticipated, causing prolonged periods of low streamflows during summer and early fall. Variability in weather will also increase, causing more frequent, prolonged drought and high intensity storm events. Higher magnitude winter floods, reductions in annual streamflow, and broad declines in cold water habitat for fishes are already occurring, with increasing rates of these changes anticipated. All salmonids require thermal refuge areas, diverse habitats, and broad ranges to persist in the face of climate change. Species with very limited ranges, such as Eagle Lake Rainbow trout, and those that over summer in freshwater waiting to spawn, such as spring-run Chinook salmon and summer steelhead, are most susceptible to climate change because they are least able to access these refuge areas, which are largely inaccessible behind dams, diversions, and waterfalls. As temperatures increase and streamflow regimes change, habitats become less suitable for native salmonids and invasive species tend to thrive. Alterations in the amount and timing of streamflows reduces the survival of all juvenile salmonids. In the Pacific Ocean, sea surface temperatures are likely to increase, making ocean habitats less suitable for growth and survival of salmon and steelhead in the future. In the Pacific Ocean, climate change is likely to reduce the powerful upwelling of the California Current, which drives primary productivity and supports the entire food web for all marine life, including anadromous fishes. Increased ocean acidification is also likely to impact ocean productivity. Rising sea levels are likely to inundate and degrade important estuarine and lagoon habitats, historically critical components of the juvenile salmon and steelhead life cycle. Salmon, steelhead, and trout have adapted to a wide variety of climatic conditions in the past, and could likely survive substantial changes to climate in the absence of other human-caused stressors. By taking actions to reduce the threats identified in this report, allowing salmonid species access to a variety of high-quality habitats at appropriate times, and increasing population abundance, species resilience to climate change can be improved. What are the human-caused threats to our native salmonids? 1. 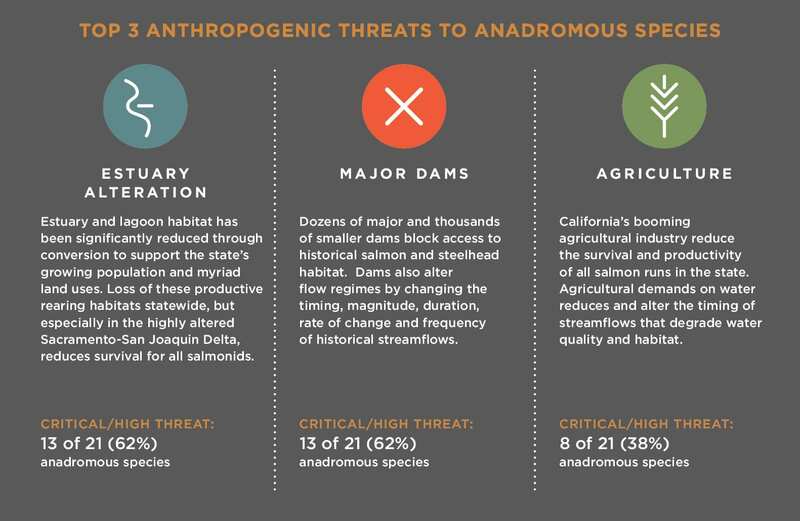 California’s salmonids can adapt to natural environmental change, but that ability is limited when faced with these human-induced threats. 2. Human-caused threats limit the long-term viability of salmonid populations by decreasing their resilience to change. 3. Determining which threats have the greatest impact on species can help to target conservation and restoration efforts, providing a roadmap for a return to resilience. 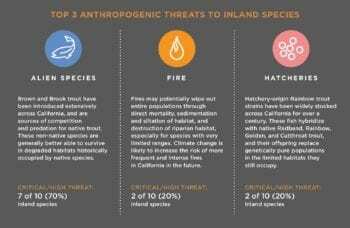 The top three human-caused threats, after climate change, vary by anadromous and inland species as would be expected given their different life histories. 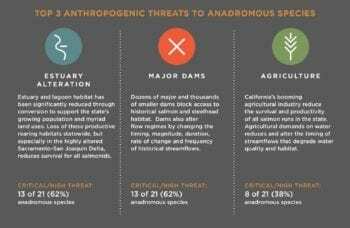 The top threats to anadromous species are overwhelmingly estuary alteration, major dams, and agriculture, while inland species face threats from alien species, fire, and hatcheries. 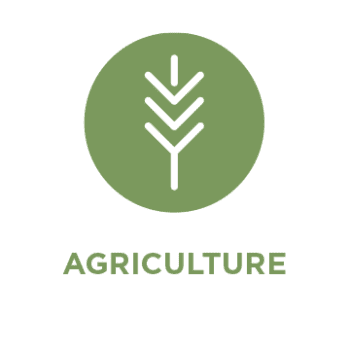 Impacts from agriculture include streams polluted by agricultural return water or farm effluent; reduced flow due to diversions which can affect migratory patterns; and increased silt and pesticides in streams. Marijuana grow operations, legal and illegal, were considered in this metric. Wildfires are a natural component of California’s landscape. 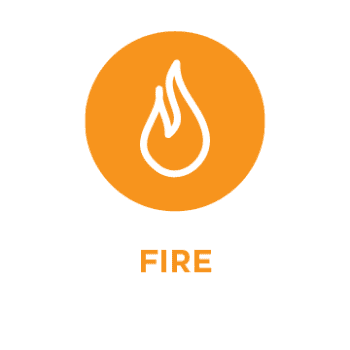 However, fire suppression, coupled with climate change, has made modern fires more frequent, severe and catastrophic. The transition from relatively frequent understory fires to less frequent, but catastrophic, crown fires can have a severe impact on fish habitat and wipe out populations with narrow habitat ranges. 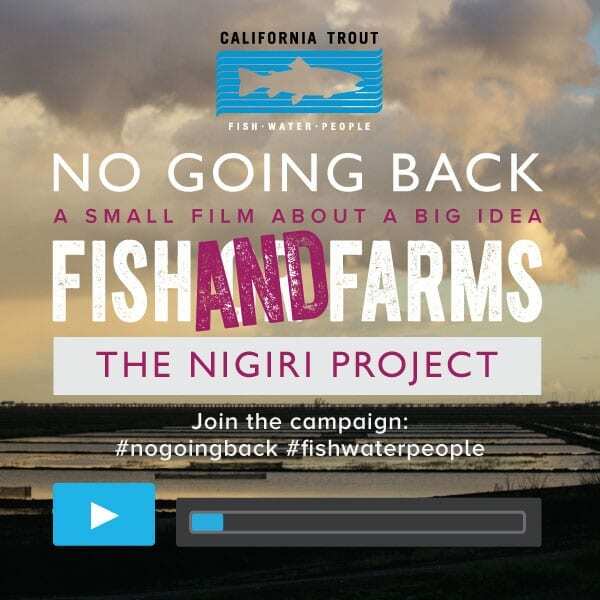 Non-native species (including fishes and other aquatic organisms) are ubiquitous across many of California’s watersheds; their impacts on native species through hybridization, predation, competition, increased disease transmission, and habitat alteration can be severe. 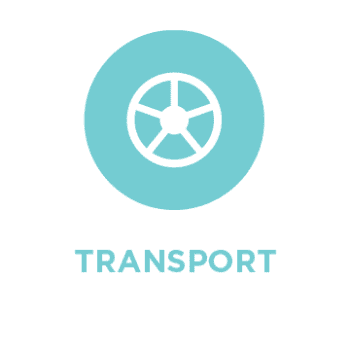 Transportation corridors such as highways confine stream channels and increase sedimentation, pollution, and habitat degradation from storm runoff and altered streamflows. Culverts and other passage or drainage modifications associated with roads often block migration and restrict fish movements, which can fragment populations. Many heavily logged watersheds once supported the highest species diversity and abundance of fishes, including anadromous salmon and steelhead. 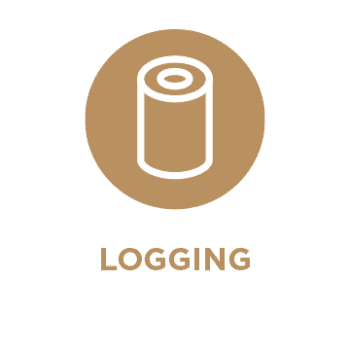 Improperly managed logging increases sediment in streams, increases solar input which increases stream temperatures, and degrades riparian cover. Stream habitat is also degraded by the extensive network of unpaved roads that supports timber extraction. 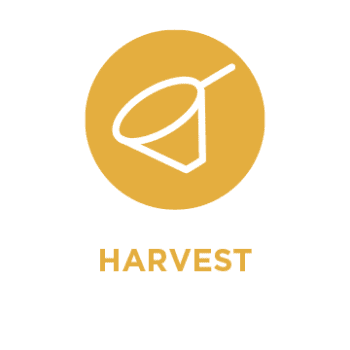 Harvest relates to legally regulated commercial, tribal, and recreational fisheries, as well as illegal harvest (poaching). Over-harvest can have substantial impacts on fish populations, particularly for those with already limited abundance or distributions, those which are isolated or reside in discrete habitats making them easy to catch (e.g. summer steelhead), or those that attain large adult size (e.g., Chinook salmon). All anadromous salmonids depend on estuaries for rearing during a portion of their lives. 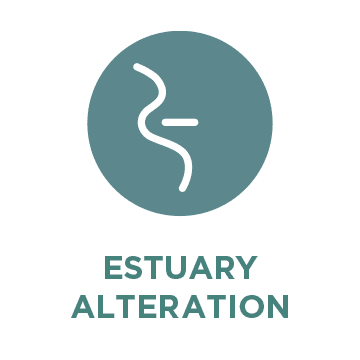 Most estuaries in the state are highly altered from human activities, especially diking, draining, and sandbar removal between the estuary and ocean. Land-uses surrounding estuaries often involve extensive wetland reclamation, greatly reducing ecological function and habitat complexity. Hatcheries and releases of hatchery reared salmonids into the wild can negatively impact wild populations through competition, predation, disease, and loss of fitness and genetic diversity. Hatchery influences are especially apparent to for anadromous species where dams blocked access to spawning habitat and hatcheries were established as mitigation. Inland trout can also be impacted with stocking of hatchery fish for recreation. This factor refers to hard rock mining, from which contaminated tailings, mine effluents, and toxic pollutants may have been dumped or leached into streams, mostly from abandoned mines. Mercury mining, used for processing gold in placer and dredge mining, left a lasting negative impact on wildlife. 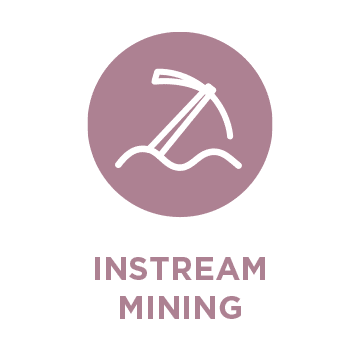 Widespread and often severe instream mining impacts occurred mid-19th to early 20th century due largely to hydraulic mining. Many rivers were excavated, dredged, and hydraulically mined for gold, causing dramatic stream degradation. Instream gravel mining also removed riparian vegetation and spawning gravels and degraded riparian habitats. 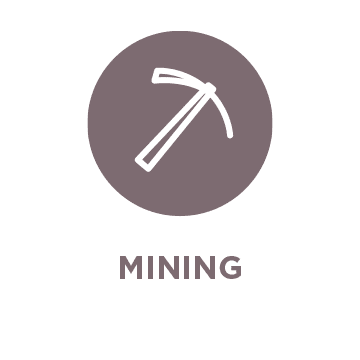 Such mining is now largely banned, but lasting impacts remain in many areas. Improperly managed livestock grazing can damage streambanks, limit riparian vegetation and increase sedimentation. This can result in a loss of habitat complexity, increased stream temperatures, and decreased spawning habitat conditions. 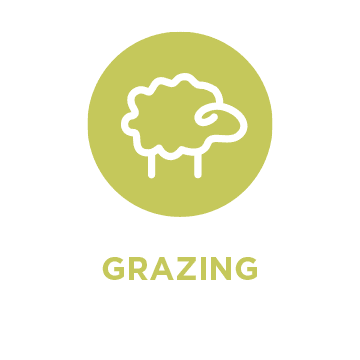 Severe grazing in meadow streams can cause down cutting resulting in meadows drying out and reductions in streamflow. 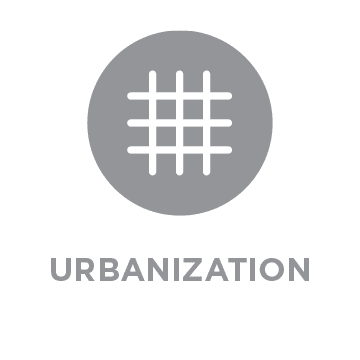 Development of towns and cities often negatively affects nearby streams through alteration for flood prevention, channelization, and water diversion, and increased pollution. The timing and magnitude of flows are altered by the increase in impervious surfaces such as pavement. Pollution from surface runoff, sewage discharges, and storm drains can degrade water quality and aquatic habitats. Human use of streams, lakes, and surrounding watersheds for recreation has greatly increased with population expansion. Boating, swimming, angling, off-road vehicles, ski resorts, golf courses and other activities or land uses can negatively impact salmonid populations and their habitats. The impacts are generally minor; however, concentration of multiple activities in one region or time of year may have cumulative impacts. As California’s population grows, rural development increasingly encroaches along or near streams. 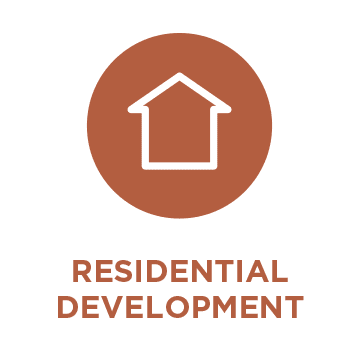 Resulting impacts include water diversions, groundwater pumping, streambed alteration (to protect houses from flooding, construct road crossings, etc. ), and pollution (especially from septic tanks and illegal waste dumping). 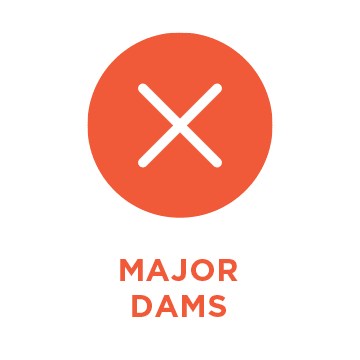 Dams block access to historical spawning and rearing habitats. Downstream, dams alter the timing, frequency, duration, magnitude, and rate of change of flows decreasing habitat quality and survival.